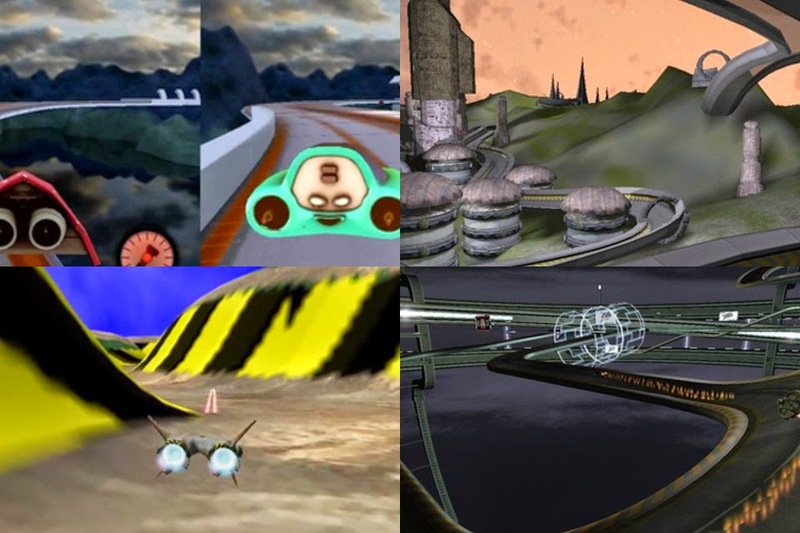 F-Zero and Wipeout set the standard for the futuristic sci-fi racing games genre and inspire many game developers. H-Craft by Irrgheist is a free sci-fi racer with IAP on Android. It is built with the Irrlicht engine and was recently released as free software with freeware data. While gameplay is simple without pickups, boosts or weapons, the campaign keeps it interesting. The 180°-Turns used in H-Craft level design are very refreshing to the genre. CoreBreach is a commercial anti-gravity racing game with combat gameplay. There is a freeware dataset that allows compiling and playing a simpler-looking version. Being an Objective C project, it was unusual to compile for me on latest Arch Linux but possible. Campaign mode, weapons and split-screen multiplayer make it cover many bases. Racer is the only project with 100% free as in freedom data, yet unfortunately it does not compile on current Arch Linux. Of our four projects, this is the only that has the classic drive-over boost fields. Ecksdee is the oldest of the bunch and has challenging time trial single-player gameplay. There are weapon pickups but without AI or human competitors they serve no purpose yet. Stunt Rally has a F-Zero-esque antigrav vehicles and futuristic levels but primarily it's a car racing game. The default physics don't seem to be working for a futuristic racing style. The cool Blender Game Engine project RGP has it's .blend file available but it does not have license information. The .blend contains no audio and only one level without AI. HexGL is pretty but has no sound, no ai, only one level and is CC 3.0 BY-NC licensed (including code) at the moment. If anybody is interested in contributing: the developer indicated interest in the MIT license. TheRush seem to be Windows-only and does not run in Wine.